Special cement-based binders with high resistance, selected minerals with controlled grain size, synthetic polymers in water dispersion and specific additives. Resin-cement mortar for the full encapsulation of asbestos fibre products, authorised in accordance with the Ministerial Decree dated 20.08.1999. Special cement-based binders with high resistance, selected minerals with controlled grain size, synthetic polymers in water dispersion and specific additives. 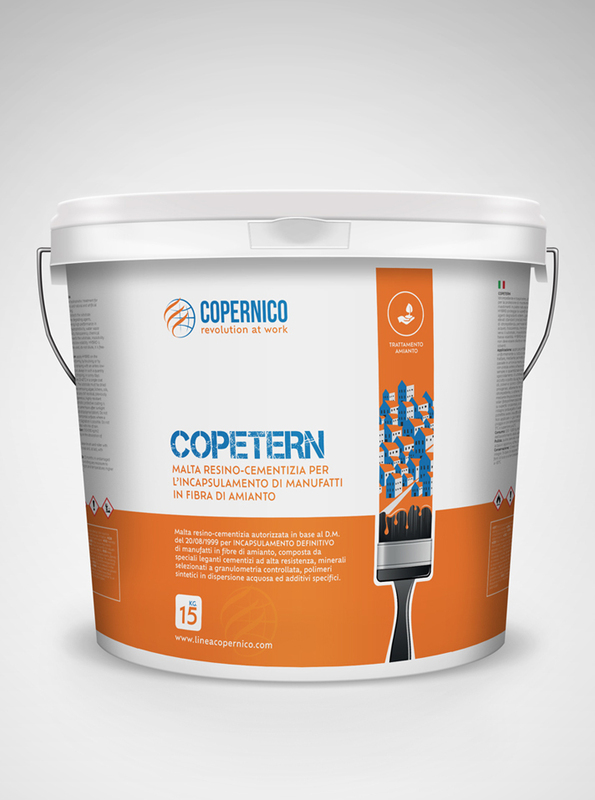 Unlike the most common encapsulation methods, which involve the use of coating paints of temporary duration, Copetern ensures a solution definitive solution to asbestos problem. The product was subjected to numerous laboratory tests and obtained certification for the definitive encapsulation of asbestos-cement slabs for classes A and B.